1.Gurus and new guy investor trainers across the country are teaching new investors how to buy 2 to 3 or 10 to 15 houses per month using some straight forward techniques and some convoluted inside-out upside-down tactics to control real estate. For a mere $3,000 to $7,000 you can spend a weekend learning some techniques that seem so easy in class yet nearly impossible when you get home. Unless of course you are willing to take the risk, over come the fear, and dive in head first. 2.Working with a competent real estate agent who is also knowledgeable about real estate investments may be the easiest way to by discounted real estate in every market of yesterday, today, and tomorrow. You can find the deals and they can help you put them together. price range you are comfortable with. They can research the MLS every day or every week and email any new listing that comes up fitting your criteria. 4.The biggest question on the investor side is always financing, how can, I put a deal together with no money down? Guess what? There will be in almost every transaction some money down or some money in the deal. The object is to have it not be your money or not much of your money. 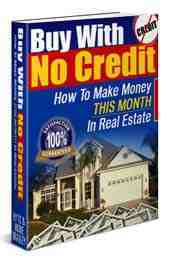 An investor Real Estate agent will be able to help put you on the path to effective financing. 5.How do you find deals? Become knowledgeable about your market place. Know what properties have sold for, what's on the market and what price. Be ready to act when a potential property comes up. offer is not embarrassing it's too high. There is a lot of truth to that. Your best deal is always on the other side of your offer. 7.Join your area REIA (Real Estate Invesment Association) good deals are at every meeting. Some REIA's have hundreds of members who have properties ready to go that may be just what your looking for.